Implementing a balm into your facial grooming routine is a fantastic way to improve the health of your beard and decrease rashes, itchiness, and damaged hair. If you have done any shopping around for facial hair balms, you already know that at $15-$25 per tin, it can quickly become very costly to maintain that healthy beard. Learning how to make facial hair balm yourself will allow you to create large quantities of this moisturizer at pennies on the dollar. Before we go any further with making a balm for your beard, let’s establish what is beard balm all about. A balm for beard is a buttery product that you use to moisturize and tame your beard while giving it slight hold, which makes it easier to style your facial hair. Up to three months since you’ve started growing your beard, there is no need to apply facial hair balm because in that time your facial hair is not too long, and it doesn’t require any styling. Of course, this does not imply that you shouldn’t do anything for your beard in the first three months. On the contrary, if you are serious about beard growing, you will start taking care of it since the first day. Beard oil is more than enough in that period to help you deal with beard itch or dryness that come in the first months of beard growth. While at it, you will often hear that a balm is an alternative to beard oil. However, you don’t have to choose between these two. In fact, a balm can be a great addition to your beard oil. By combining them, your beard will be soft while maintaining its shape perfectly. On the other hand, most men think that balms are the same as beard waxes. Although similar, a balm and a wax have their differences. The main difference is that a balm for facial hair contains less beeswax than a beard wax. Another common confusion people have is that a beard wax and mustache wax are the same. Well, they are not. Ingredients can be similar sometimes, but mustache wax needs a stronger hold. That being said, mustache wax is made with a more significant percentage of beeswax in it. You mean besides feeling proud that you made your own balm precisely the way you wanted it? Of course, there are more benefits. You will get more of the product for less money. For example, if you make one batch of a balm, it will last for two years even when used daily. Also, you will know exactly the ingredients and what are you putting on your beard. If not satisfied with the mix you can also experiment by adding different essential oils whenever pleases you. Now that’s something you don’t get a chance to do when buying this product. There isn’t a specific time when you should apply a balm on your facial hair. However, the results are the best if you do it right after showering and towel drying your beard. A dime size amount of the balm is enough. Rub it between your hands and then distribute it evenly through your beard. While doing that, make sure to smooth any stray hairs and shape your beard in any way you want to. If by any chance, you scoop out more balm than needed you can simply wipe it off with a towel. If you apply it at night keep the extra and let the product soak into your beard because it will condition your beard even more. Before you can learn how to make this product, it is important that you first gather some important ingredients. The four essential ingredients are going to be the beeswax, the butter, the carrier oils, and the essential oils. The essential ingredient is the beeswax. This wax is what is going to give your balm the hold it needs, and it will supply the hair with essential nutrients like vitamin A. With very little friction it melts and then solidifies quickly. When you are learning how to make facial hair balm for personal use, the best type of beeswax to buy is in 1-ounce bars. Vegans shouldn’t worry because they can use the vegan plant wax instead of the beeswax, and the results are almost the same. Percentage of beeswax can vary, depending on how strong hold you want. It’s essential not to exaggerate with beeswax. Otherwise, your beard will get really stiff, like permanent glue. Keep in mind that, although the main ingredient, beeswax is considered to be a secondary ingredient in your a balm. Butters and carrier oils are more important. 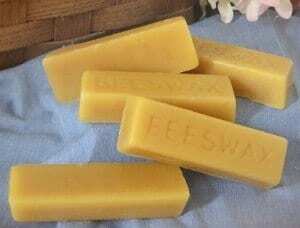 There are two forms of beeswax – the bars and pellets. The reason why you are making the balm will determine which one you should choose. For selling purposes, it’s better to go with pellets because you will get more product that way. If you are making it for the first time or you are aiming to make only one to two tins, the bars are a better choice. You can use a sharp knife to cut through the beeswax and use as much as you need for the recipe. To create your own balm, you will need both cocoa and shea butter. Each has their own unique qualities, and they definitely smell different. They are also main ingredients of a beard butter. 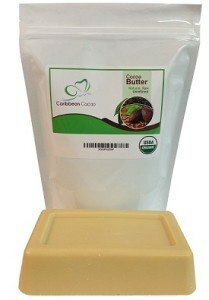 The cocoa butter smells pleasant and has essential antioxidants and vitamins. 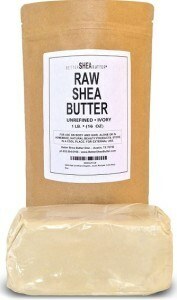 The shea butter has anti-inflammatory qualities, reducing both rashes and itchiness. This butter gives a balm its spreading texture, allowing the balm to melt in your hands. Make sure to purchase one pound of each. Although the most common, shea and cocoa butter are not the only one. Many men tend to use mango butter as well. Mango butter is similar to cocoa butter, but a little firmer, and it is an excellent addition to your product if you want it to be less waxy. So, when inserting a mango butter in your mix, you are going to need less beeswax. This butter is great skin moisturizer as well. It contains anti-wrinkle agents and protects against the harmful UV rays. If your goal when making a facial hair balm is to eliminate beardruff or heal the skin, mango butter is the best choice. No matter which butter you decide to use, make sure that the amount you use is similar to the amount of beeswax. This means that you should use butter to maintain the balance in your balm. For example, if you use 1 cup of beeswax, the amount of butter you put will determine whether you will get a balm or a wax. To give the balm a texture, you will need to add carrier oils. Depending on personal preference, the oils you can use range from argan, jojoba oil, grapeseed, kukui nut, coconut, and avocado. Purchase the smallest container until you find oils that you find most enjoyable. Besides personal preferences, you should pick a carrier oils that your beard and skin can benefit from. For example, jojoba oil is of great help if your skin and facial hair are oily. It moisturizes and nourishes your facial hair while supporting your skin’s ability to produce its natural oils. Carrier oils can be found in local supermarkets, at online retailers and aromatherapy shops. Make sure to check the expiration date, the color of the bottle, and the temperature in the room where the carrier oils are located. Amber color bottles are better because they block UV rays. When it comes to the temperature, the room shouldn’t be warmer than a regular room. You can’t use essential oils without the carrier oils because they have high acidity and can harm your skin. Carrier oils prevent that from happening. 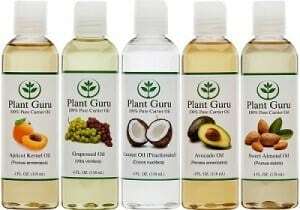 You are free to experiment with different kinds of carrier oils and find the mix you will like the most. Carrier oils should take about 30% of your product. In order to give your balm a pleasant scent, you will need to add some essential oils. These oils are used very sparingly, as you do not want to overwhelm those around you with a strong odor. For a masculine smell, consider sandalwood, cedar, or pine oils. Tree oils are helpful in reducing flakes and dandruff, and vanilla, benzoin, and peru all have warm and soothing smells. It is already said that essential oils have a strong smell, which means that you should use only a few drops of each one. Also, avoid mixing different kinds of essential oils. This way you can contaminate the scent of your oils, and the result will be an entirely different smell than you wanted it to be. It’s better to use a separate glass container to mix the essential oils and see how will the smell turn out to be. If you like it then you can add essential oils. While you are out shopping for the ingredients, now is the time to purchase a few accessories. Be sure to have on hand a small funnel, pipettes, an eyedropper, and a kitchen scale for measuring the cocoa and shea butter accurately. Also, get a cooking vat for mixing the ingredients because they are extremely tough to clean. Use this vat only for mixing your balm. One last thing to have on hand are containers for storing your product. 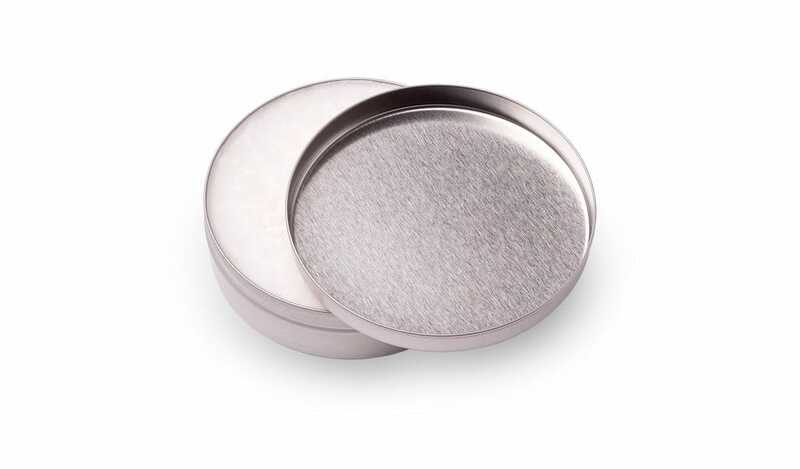 Until you find the perfect mixture, consider buying a few round tins for storing the balm. They range from a quarter ounce to eight-ounce containers. When it comes to containers, choose wisely and go for the aluminum ones. Glass and plastic are not the right materials to store the hot balm in them. Hot product can melt the plastic and shatter the glass. Because you have to be careful on the right dosage of carrier and, especially essential oils, you will find the eyedropper to be quite useful. Without the eye dropper you can, for example, add a few extra drops of tea tree oil and completely ruin your balm. Finally, consider using a metal spoon to mix all of the ingredients. The amounts and oils in this example are for creating a nice smelling and soothing balm, but you feel free to experiment with other oils. Place 2 ounces of shea butter, 1 ounce of beeswax, and 3 ounces of coconut carrier oil into the vat and place over a very low heat. Since you are only experimenting with small portions, a candle warmer might be safer than the low setting on your range. Watch closely as the ingredients begin to melt and blend together. Stir occasionally and do not let them come to a boil. If it reaches a boil, burn the mixture and eliminate all those therapeutic ingredients. Once the solution has become a liquid, remove from the heat. This is when you have to work a little fast. The key here is adding the essential oils before the balm is allowed to solidify. Place a few drops of the rosemary and lavender oil in the balm, stir well. Once the oil has been added, immediately pour the balm into the storage tin and cover. Allow the balm to sit in the tin overnight to properly cool. The next morning your product will be ready to apply to your face. Coconut oil is often the favorite oil among men. Therefore, as an extra added bonus to the recipe here is also a quick one for coconut oil lovers. Keep in mind that beeswax and butter are used in a similar way as before, which is 65-70% of the mix. For additional items, you are going to need a heatproof bowl and a small container with a leak-proof lid to store your item later. Add two tablespoons of coconut oil into a dish and melt it. You already know that essential oils have a stronger smell than carrier oils. Well, coconut oil is the proof of that. This means that you should be careful when adding essential oils. Use those that are strong enough to mask the coconut oil smell or those that work well with it. For example, a mix of bergamot, frankincense, and tea tree oil will result in a spicy, slightly sweet scent. After you pour the product into the tins, let it solidify at average room temperature. 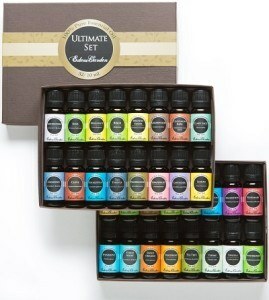 Experiment with different oils to get the fragrance and the texture you desire. Some oils will reduce itchiness, some will make the skin moist. In no time at all, you will be an expert in making your own beard balm at home. Why does my balm make my beard so stiff when I did everything right? You probably didn’t do everything right. It is likely that you added more beeswax than needed. When you are making it the next time, cut down the amount of beeswax and see what happens. Will beard balm make my beard softer? Maybe you think that because of its holding powers, a balm won’t make your beard softer. The reality is that it does both, it holds your beard in shape while making it soft along the way. With hundreds of essential oils out there, it can be tricky to choose the right one for you. It’s the best to experiment with different beard oils to find the one that you will like the most. Just apply these simple rules – no more than a few drops of each essential oils and don’t mix too many of them. You made your balms or have questions about it? Just write it in the comments below. Photos from: Dmytro Skorobogatov © 123RF.com and bborriss.67 / depositphotos.com. I honestly believe everyone should at least try to make their own beard balm. Started making my own 2 years ago and I just love the processes of doing it. And of course the biggest benefit is you can make them smell and feel just as you like it the most. Maybe I’m missing something …? It only depends if you prefer to add it or not. There are plenty of recipes with and without cocoa butter. It doesn’t hurt to add a little lanolin in the “butters” portion. Lanolin is awesome for hair and skin, but you will want to add a little more essential oil as it has a strong aroma. I use a mix of Shea, Cocoa & Lanolin. For the oil portion I use babassu (It’s like coconut oil without the smell or allergy problems). Actually I use of mix of oils but that may be giving away too much of my not so secret recipe. Is there a site where I can buy tins like the ones mentioned above? I prefer to do a lot of my accessories shopping online, or which stores could I buy them at? Thanks in advance! If you are talking about empty tins most people buy it via Alibaba website (http://www.alibaba.com/). Double boiler works well for melting the mix. Pot of water, bring to a boil and then use a metal bowl on top of that for the ingredients. Less likely to burn the mix this way. Great advice Leoroy – Worked a treat! I was wondering, what size tin did you use? 2oz. / 56.6g tin is the most commonly used. I also went for that size. Stupid Question time – what size tin is people using for this recipe above? Hey Ben, 2oz. / 56.6g tin is the most commonly used. Funny that I looked at this recipe and found it is very similar to what I already make to treat my sons eczema, minus the beeswax. Most over the counter stuff contains alcohol and other chemicals which burns his skin. Looking forward to getting some wax and trying this out. Does this balm offer any hold or is it more of a softener? I second Bryan’s question… don’t want to waste any batches. Few drops (2-3) of each essential oil. Don’t mix in too much types of essential oils because you will lose the scent of your essential oil. My parents and I have a few bee hives so I have my own beeswax. A friend asked if I’d make him beard wax and this recipe and these tips are great. I’m looking forward to trying them out! I have a batch of wax that I am refining right now (it takes a few days). All the shampoos and conditioners I have tried to date make my beard even drier and more wiry – and stinky from god knows what chemicals and weird fragrances. These days I don’t ‘wash’ my beard with any ‘cleaning’ preparation. Instead, I just rinse it with tepid water in the shower – and the beard still comes out dry and wiry. Using the palms of my hands to apply balms, oils, etc – as is recommended – to my long beard, it is impossible to get an evenly distribution or to avoid accidentally pulling out beard hairs (not good). So far, the only practical way I have found to soften my long beard is to spray an emulsion of oil (for example grape seed oil) in water on to it. However, oil marks on my shirts render that idea impractical too. Another myth all over the internet is that ‘cheap’ plastic combs snag beard hairs (allegedly due to molding imperfections). Well in fact just about any comb will snag beard hairs (and head hairs too) if it is used at the wrong angle. Even cheap combs are just fine if you comb through the beard with the spine of the comb leading the way with the tips of the comb’s teeth trailing behind at a gentle angle. Press the roots of the section you’re combing against your face/chin/neck, using your free hand. Paul, I use Dr bronners to wash my beard every day and then the general recipe for the beard balm here and I’ve had great luck with a super soft beard for the last year. I put the size of balm in my hand size of a grape, and warm it in my hands until liquid, then massage through my beard. Once I’m done I use a comb to finish the job, by combing out my beard. It works really well. Good luck. Hello bearded brothers, I make my own oils and balms. Does anyone have a recipe for beard butter. Can u pass it along thanks. Looking for a lavender recipe to make my first beard balm, and found this! I have all the ingredients, and will commence shortly. Thanks for the recipe, I’m looking forward to trying it out!! I use a double-boiler technique with a pot of water and a glass Mason jar. This prevents any chance of burning the balm. Pull the jar out, add the essential oils, put the lid on and shake it to mix. Pour the liquid into the tins, and save the remaining balm in the jar. This is nice, too, because when your tin is empty, you can just double-boil the jar again (the balm in the jar will obviously be solid), then pour into the tins for a quick refill. I’m glad I came across this recipe for making your own. Living with kids with tree nut allergies makes it difficult to use pre-made beard butters/balms. They all use almond butter which is a big problem in my household. Unless anyone knows of any companies that are sensitive to this subject I’d be happy to check them out. Maestro’s brand doesn’t use almond in their recipe but I feel it isn’t the right product for my beard. How much of the cocoa butter do you use, as that was missing from the directions. Thanks. Just a tip: I found coconut oil to be of the devil. Try using oils that have a faster absorption rate so your beard doesn’t feel like you used motor oil in it. Where is the cocoa butter in the directions? How much do we use? I bought it so I wanna use it! It depends on your preferences if you’ll add it or not. There are a lot of recipes with and without it. But since you bought it, you can go with 2 oz of cocoa butter. You can go with 2 oz of cocoa butter. What a wonderful idea! I wish I’d come across this before Christmas! My oldest son has a very full beard, has had one since he was about 17, an his gf is a beard lover. so Im going to practice making different scent balms for him. I’ll let you know how it goes! Something he will never expect coming! I wonder if a clove type oil added with the other ingredients would come off too strong? Has anyone tried it? Just looking for something different… Or a French vanilla,or something close to a musk ? checked around – Cedarwood if your looking for a musk scent…also here are some different substitutes from others that have made it without fail. Feel free to add 8 – 10 drops of essential oils in too. NOTE- Frankincense is good because it is great for the skin. I hope that helps! I for one can’t wait to try everything I’ve learned. Darren, this is for one 2oz. / 56.6g tin. 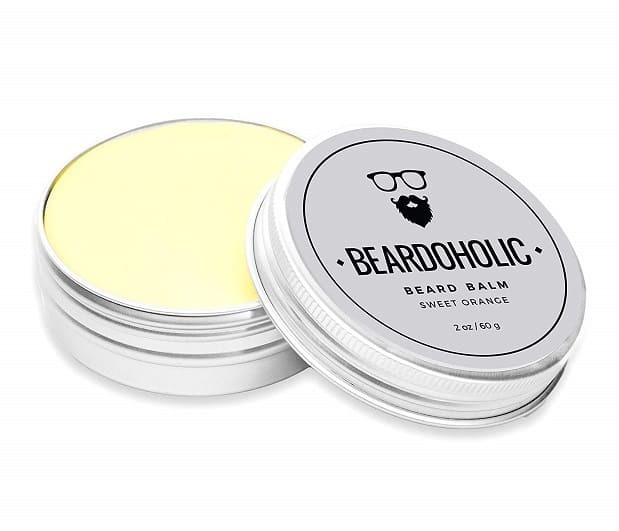 I was wondering if someone could give me the total weights needed for 100 Beard balms in 1oz and 2oz tins I tried to do it on amazon just now but i ended up messing up im sure. My balm has a very strong smell of cocoa butter, how would you best mask this scent? Hi guys. i read the article and i took some notes, but i realised that as per the instructions we should use 4ounces of carrier oils. but this is 57% instead of 30% as per the articles instructions. what did i miss? Thank you for pointing this out, it was a typo. You should use 3 ounces of carrier oils. I just finished my first batch. Shea butter, coconut oil, beeswax, cedarwood, bergamot. I’m weary of the coconut smell. It’s very prominent and I wonder what good it does to add oils if it can’t be overcome. But such an easy process. I used 2-4oz Ball glass Mason jars. The same ones for canning. This is tempered glass and can with stand boiling temps. Though I’m also weary of handling glass in the bathroom.